Моды на DNA40 | Выбор и обсуждение | Украинский форум пользователей электронных сигарет. Общение вейперов. Тема в разделе "Батарейные блоки", создана пользователем ammper, 3 мар 2017. Производителем заявлена работа температурного контроля на никеле. Регулировка яркости дисплея - не подтвержденно. The DNA system lets anyone build Evolv's patented power regulated technology into their own products. The DNA 40 is a power regulated digital switch-mode DC-DC converter for personal vaporizers. It features Evolv’s patented Wattage Control, Temperature Protection, Preheat, Step Up/Step Down Topology, Digital User Controls, OLED Screen, Onboard Buttons and Synchronous Rectification for maximum battery life and minimal heat generation. It is the most advanced personal vaporizer controller ever made. 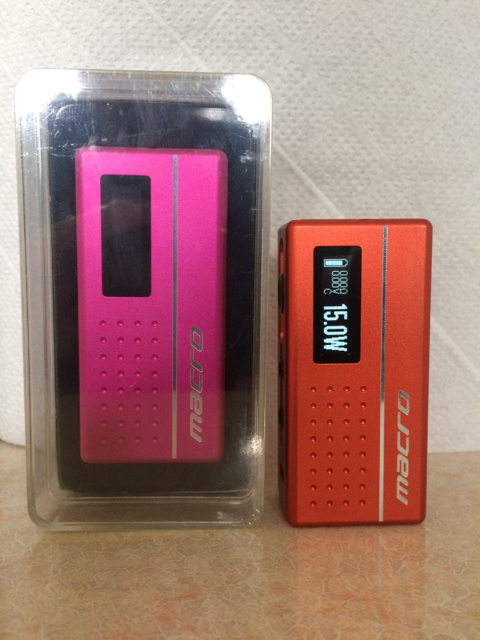 The DNA 40 is the same size as the DNA20D/30D. reduce the breakdown of flavoring and base liquid components, which could impact taste or safety. coil does not short to itself. inappropriate for the attached atomizer. 1) Lock the device by pressing the Fire button five times. 2) Hold down the UP and DOWN adjust buttons for two seconds. a new atomizer is attached. liquid. Preheat applies extra power until the heating coil is up to operating temperature to shorten the delay between pressing the fire button and generating vapor. Because the preheat is temperature based, it will not overheat or burn the vapor. The DNA 40 uses the resistance of the atomizer to calculate the temperature of the heating coil. may read and protect incorrectly until the new atomizer cools. atomizer, press the UP button. If you have disconnected and reconnected the same atomizer, press the DOWN button. Celsius units instead of Fahrenheit. vapor, click or hold the Up and Down buttons. Watt setting: The power level currently set on the DNA 40. Battery indicator: The current state of charge of the battery. actual temperature of the heating coil is displayed. unit is supplying power to the atomizer. At other times, it shows the most recent measurement. Volts display: The output voltage being supplied to the atomizer. “Locked, Click 5X”. To exit Locked mode, press the fire button 5 times. switch back to normal display mode, hold down the fire and down buttons simultaneously for 5 seconds. This setting is stored to internal flash memory, and remains if power is removed. handed use. This setting is stored to internal flash memory, and remains if power is removed. while in a pocket. To exit Power Locked mode, hold the up and down buttons for two seconds. save the new temperature setting and exit, press the Fire button. The DNA 40 will indicate a variety of error states. resistance is incorrect for the power setting. Shorted: The atomizer or wiring are short circuited. wattage. The Weak Battery message will continue to flash for a few seconds after the end of puff. Temperature Protection: The heating coil reached the maximum allowed temperature during the puff. If this happens, the DNA 40 will continue to fire, but will not be able to provide the desired wattage. Too High message will continue to flash for a few seconds after the end of puff. Too Low message will continue to flash for a few seconds after the end of puff. internal board temperature becomes excessive. mode. To wake the device, press the fire button. its user interface. However, it does support the use of external interface components if desired. the UP and DOWN mounting holes for customization. preferred. Make sure that all contacts and connections are capable of handling at least 16 amps. removable battery will also work. This list is meant for devices you can actually buy. No lists, no "I make them in my garage whenever I feel like it" stuff. There are many nice devices of that nature, but it's not maintainable and new people cannot be easily pointed on where to accquire one. roman_12345 и KhAOS нравится это. хоть напиши, что выбрал то..
С 2мя акумами не хуже любого нынешнего мода на 2 акума. КМК. Для генезтста самое оно, КМК. Дело Ваше, был у меня такой, заказывал с Америки(оф. сайта), будьте осторожны с заменой акка, там крышка из пластмасы, надо очень бережно относиться, так как могут сломаться зубцы, которые держат крышку , ещё раз подумайте, я бы не советовал, походил с ним около двух недель и продал, боялся сломать крышку. Уж лучше Макро возьмите. 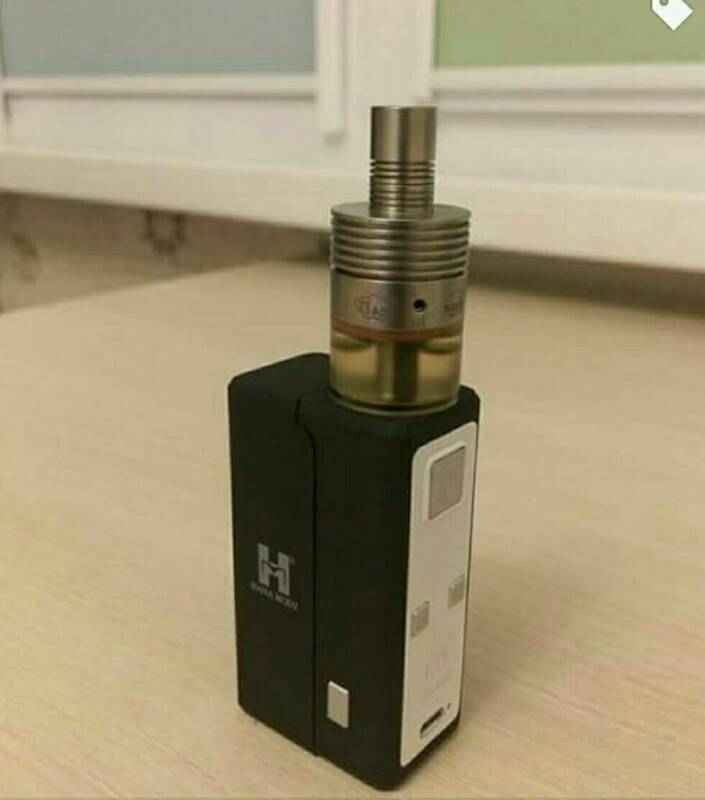 Сам заказал, но правда на DNA75. tolstiyk и Шихад нравится это. Боттомфидер-моды и атомайзеры (squonk-моды). Выбор и обсуждение.